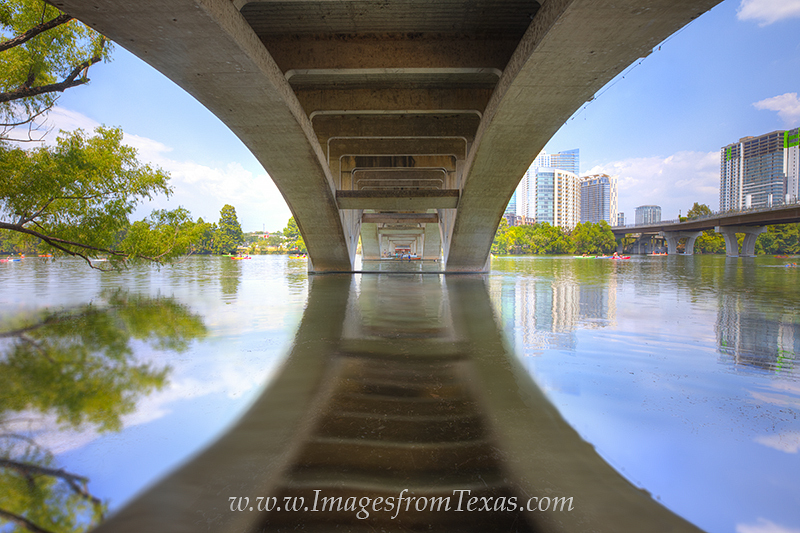 Lady Bird Lake flows beneath Lamar Bridge near downtown Austin, Texas. On hot summer days, folks who are enjoy the cool waters rest beneath this bridge to gain a respite from the hot sun. Photo © copyright by Rob Greebon.